The results have apparently shown that, by and large, Pakistan does not vote Islamist. The 2018 Elections are over, giving a healthy but controversial victory to Imran Khan’s Pakistan Tehreek-e-Insaf (PTI). These elections were, according to many independent correspondents, one of the “dirtiest” in living memory, mainly due to the tactics employed by mainstream parties and the extreme political polarisation in the electorate. Besides other things, one crucial aspect that truly distinguished these elections from previous ones was the intense whipping up of religious sensitivities – like bringing up the Finality of Prophethood (pbuh) – by several parties. Although this issue had been raised earlier as well, it took centre stage during the elections. Due to the nature of these religion-infused campaigns, people were expecting religious parties to gain some ground, as the battle was being fought around their typical slogans and they were better equipped to capitalise on it. Some were even expecting them to win more seats this time. However, the results have apparently shown that, by and large, Pakistan does not vote Islamist, as religious parties have collectively not been able to even cross the threshold of 10% of the total seats. 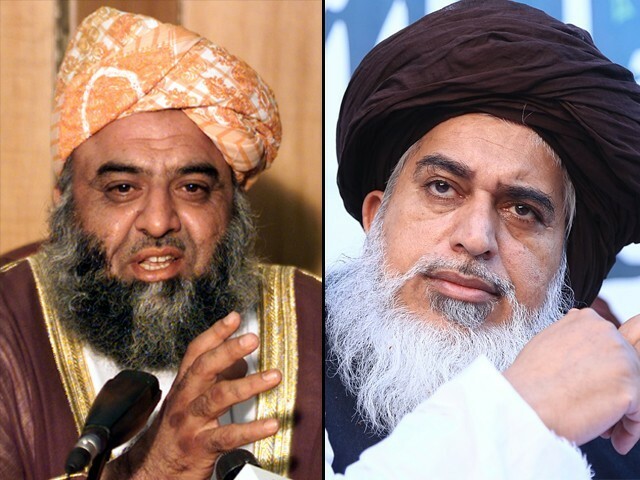 Despite its revival, the Muttahida Majlis-e-Amal (MMA) could only win 12 seats, whereas the Tehreek-e-Labaik Pakistan (TLP) could not even win a single seat in the National Assembly. Despite a highly charged campaign, it could only win two seats in the Sindh Assembly. This result has apparently allayed the fears of moderates and reassured the world that in Pakistan, religious extremism is only at the fringe. However, would it be true to infer that since Pakistan does not vote for religious parties, its voter is thus more “moderate”? I have often seen overzealous Pakistanis taunting Indians on social media over how their country is more “extreme” as it voted for a “religious” party like the Bharatiya Janata Party (BJP), whereas Pakistanis never vote in overwhelming numbers for similar kinds of extremist parties. By this logic, for them, Pakistan is more religiously “tolerant’ than India. I wish this was true. The problem is that these aggregate numbers hide a far more complex story. Yes, religious parties do not get seats, but that does not mean the Pakistani electorate does not give weight to religious sloganeering and is immune to the weaponisation of sensitive religious matters. If anything, this election actually saw mainstream parties like the PTI and the Pakistan Muslim League-Nawaz (PML-N) actively whipping up religion for electoral gains. If religion was not a factor, then these parties would not have spent so much effort in pandering to it. Both Imran and Shehbaz Sharif courted influential pirs, with the former going to the Khatam-e-Nabuwat conference and alleging that Nawaz Sharif had deliberately changed the oath-taking to appease some western powers! There is a reason as to why both mainstream parties played so hard on this wicket. In Pakistan, an ordinary voter may not be voting for religious parties, but religion nevertheless is a critical factor in his or her decision-making calculus. In other words, while religion may not be the only factor, it is definitely a very critical factor. This is why mainstream conservative parties like the PML-N and PTI constantly use religious sloganeering. In fact, one reason as to why religious parties don’t get that many votes is that religion is not their exclusive domain, as all parties are using it. In other words, the difference between mainstream parties and religious parties has blurred to some extent, leaving the latter not much to sell. Secondly, another fact which many are overlooking is that while religious parties did not get too many seats, they nevertheless did take a good number of votes in certain pockets of the country. It should be remembered that Pakistan follows the first-past-the-post (FPTP) voting system, in which the candidate with the most votes in a constituency wins. This system has often worked to the disadvantage of religious parties, whose vote is substantial but thinly spread across the country. For example, despite being a new party, TLP still got more than 2.2 million votes in this election. However, since this vote was spread all across the country, it could not translate into many seats. If Pakistan was following the proportional representation system, then TLP would have ended with more than 10 seats in the National Assembly. TLP’s performance in some urban areas of Punjab and in Karachi is an indicator that their message resonates with millions. This is a cause for worry, as their entire campaign was based on a single issue upon which they incited hate and violence against other parties, particularly the PML-N. In Punjab, TLP has dented the PML-N’s vote bank considerably, resulting in PTI winning some closely fought seats. Moreover, the presence of TLP forced both PTI and PML-N to also adopt a more hard-line stance. This election is a grim reminder that in Pakistan, religious parties always end up affecting the political discourse more than their actual electoral strength. Further, the way this election was fought, I fear this will become a permanent template for the future as well. Yes, the religious groups may not have won many seats, but there is nothing to take comfort from within these results. Your opening paragraph does you a disservice. Raza, YES, they are moderate. Pakistanis by nature are moderate people. You should know that. Let’s not write articles for the sake of filling in empty space. If TLP got more than 2.2m (it is in-fact far less) votes that’s just 1% of the population. Do not disrespect the other 99% who did not vote TLP. There are too many ifs and buts in your arguments. Therefore, the premise upon which you try to build your logic for your arguments is false and not supported by facts. In other words your arguments are false. I follow a lot of news-sites of other countries. I have learnt over the years that Pakistanis are overly critical of themselves, so much so that they represent a false image of the themselves to the outside world. This article is in a similar vein. You are so pro PML-N that you can’t even congratulate Imran in simple words, “controversial victory”, maybe in your stunted dreams. Imran Khan won. Live with it. The whipped up fervor was instigated by Gazi Capt. 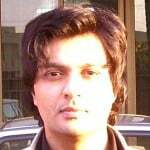 Safdar [retd]. with his rant and hate speech in the National Assembly. Him alone. And it spread like a fever. Safdar was the point man in all this brouhaha, controversy, witches brew/cauldron. Though there were no witches involved, just bearded warlocks. Sadly enough, this man is also the son in law of the thrice failed ex PM Nawaz, [the thwarted ameerul momineen]. Safdar was also forefront at the funeral of Mumtaz Qadri, the killer of Governor Salman Taseer. How can the antics of this man be justified. I am an ardent supporter of an Islamic republic. But would never support these people. They don’t offer anything. Just emotional slogans. Show me how you will make this an Islamic welfare state and I’ll vote for you. This country will never vote for a non-religous party. Have some party say that they would allow interest, open alcohol and gambling and let’s how many votes they get. This will be the exact opposite of a religious party. This will be a secular party. It is wrong to play fast and loose with history. The demand for Pakistan was not based on religion. The Lahore Resolution passed by the Muslim League in 1940 is explicit and unequivocal on the issue. The Muslim manifesto leading into the 1945 election, in which it it won every single Muslim seat from every corner of India was entirely based on this Resolution.and not on Islam per se. Religious reform is far away in Pakistan. More pertinent issues are reforming of administrative structures, institutions, and absolute justice. Once this step is completed it will automatically change the perception of the masses and will not go blindly what Mullah or religious cleric incites to get popularity. It takes time things cannot be changed in next 5 years but if things started to go on the right direction for 5 years constantly then perhaps it will change in another 5 years. to Pakistan. Besides, they or their forefathers made the mistake to call Hindustan their home. Bad bad mistake. Their country where they are treated like outcasts, used as target practice, hung from trees, lamp posts, jamun trees, peepul trees, banyan trees, naryal trees, khajoor trees, neem trees [any trees left out?] oh! mango trees. And if they do use the Samjhota Express to leave, you Hindus will blow up the train,… anyway.